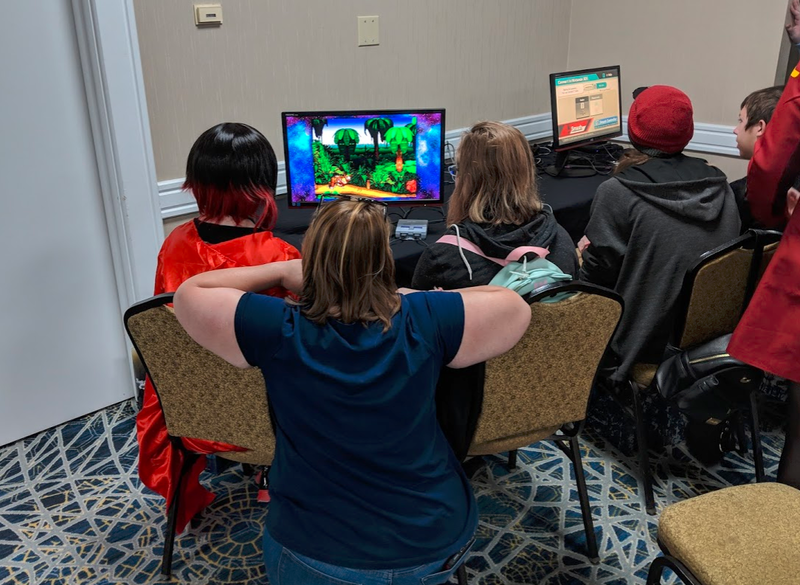 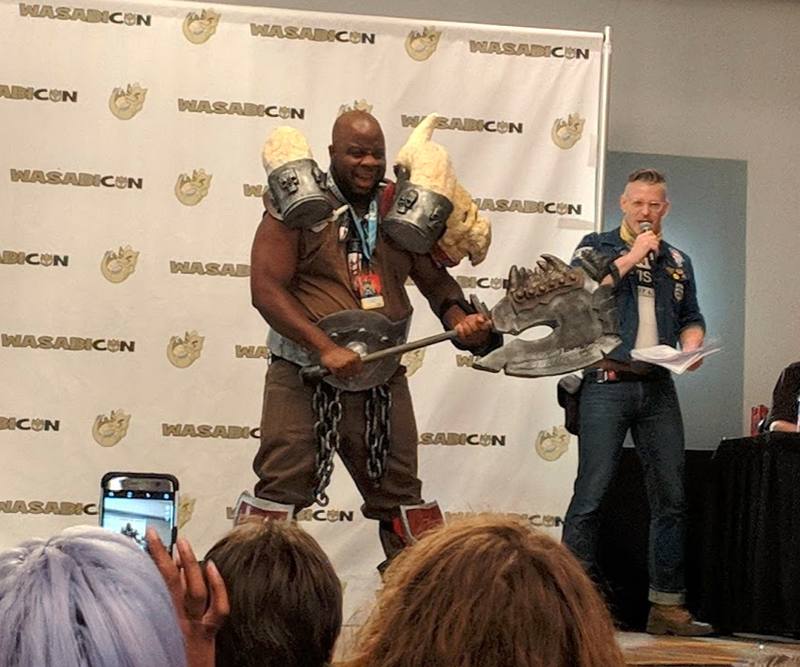 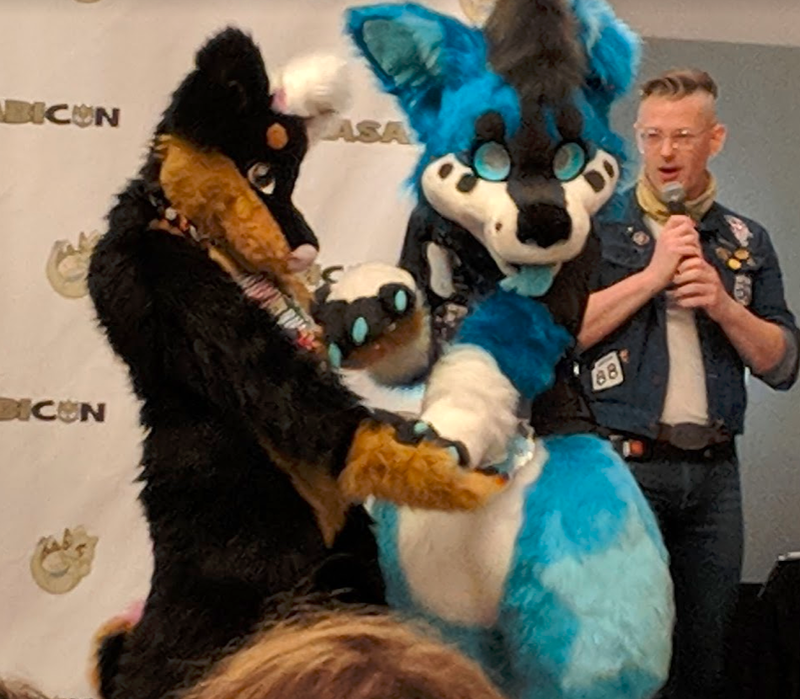 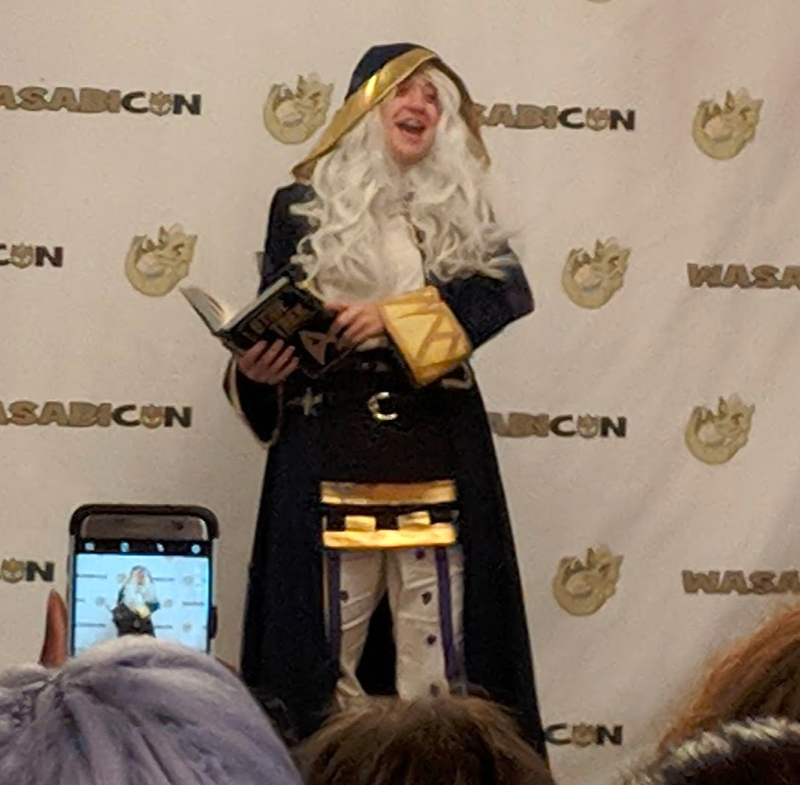 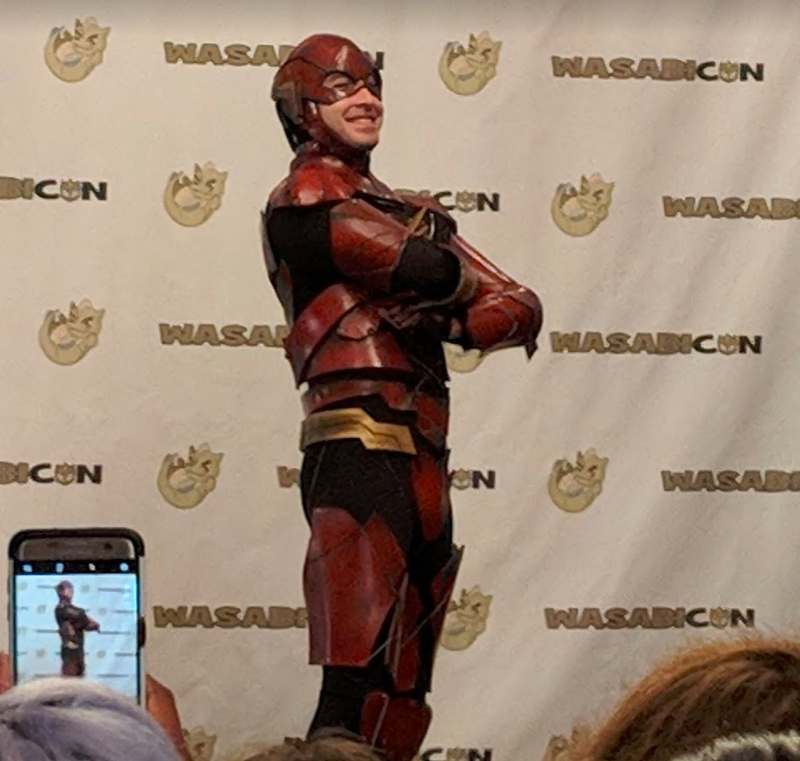 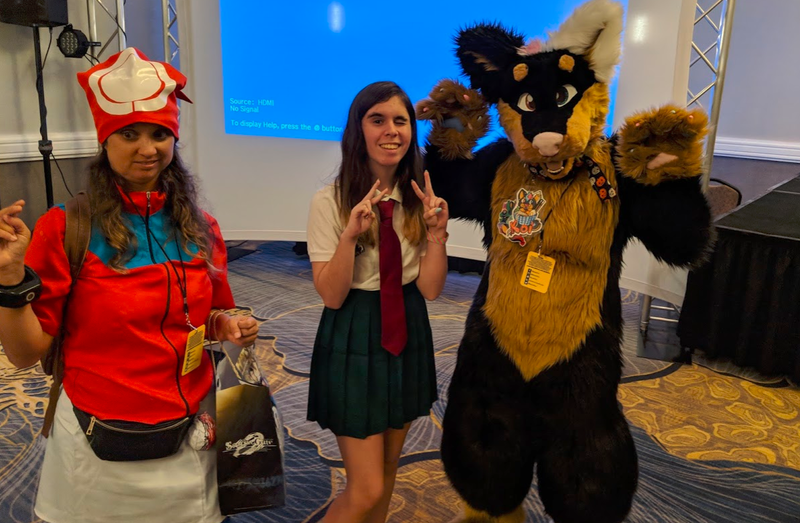 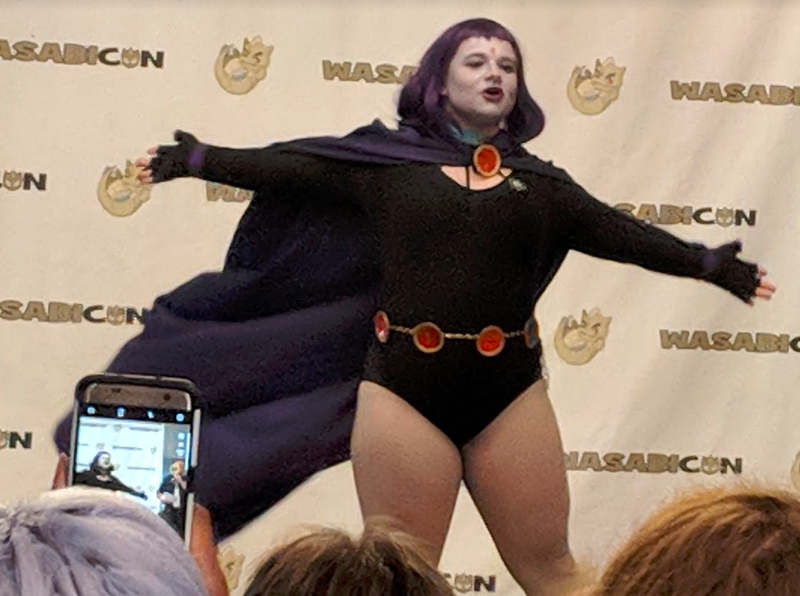 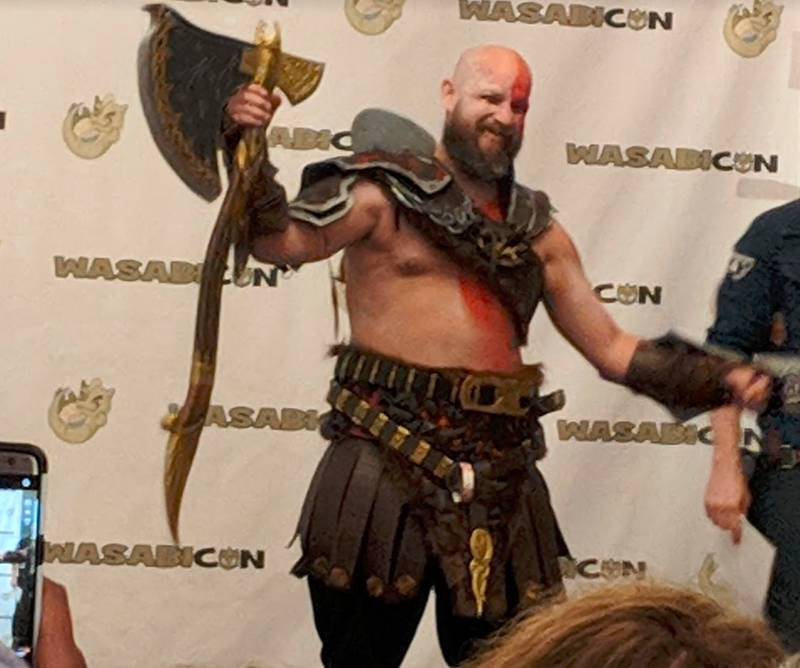 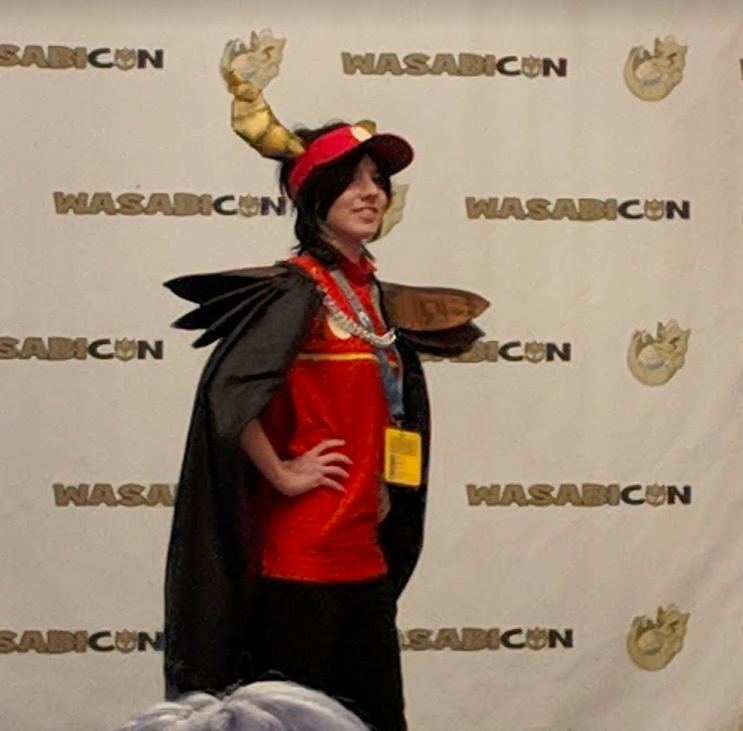 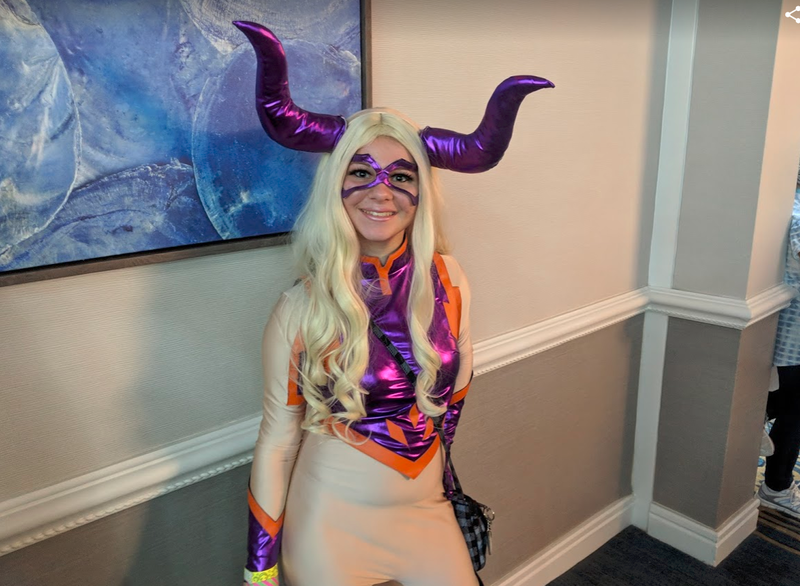 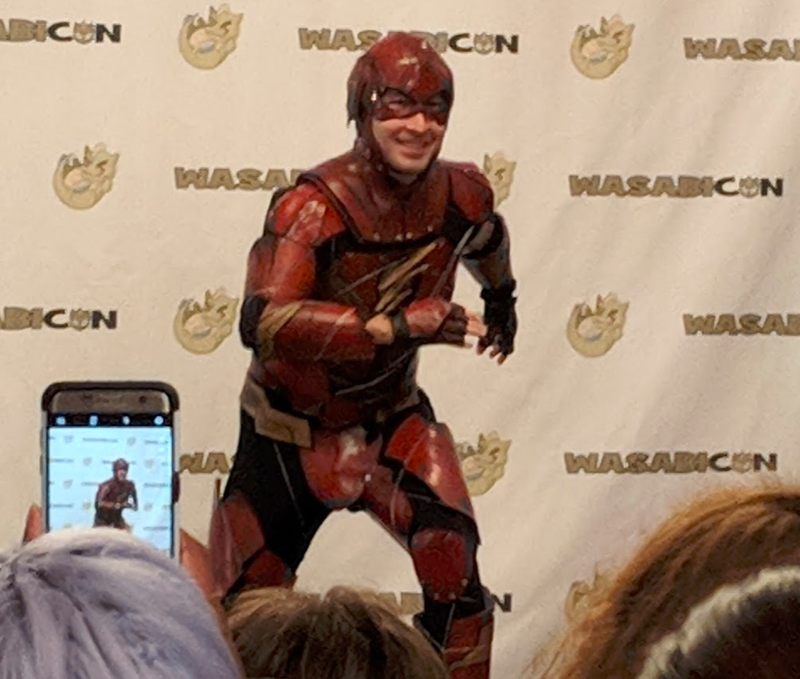 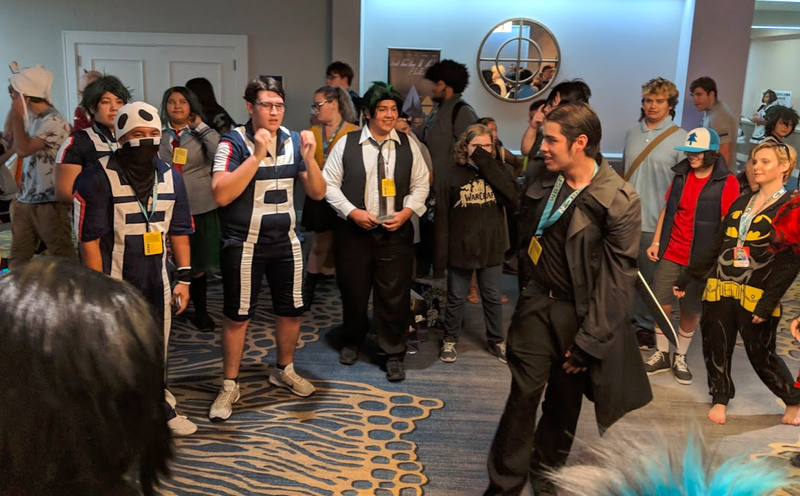 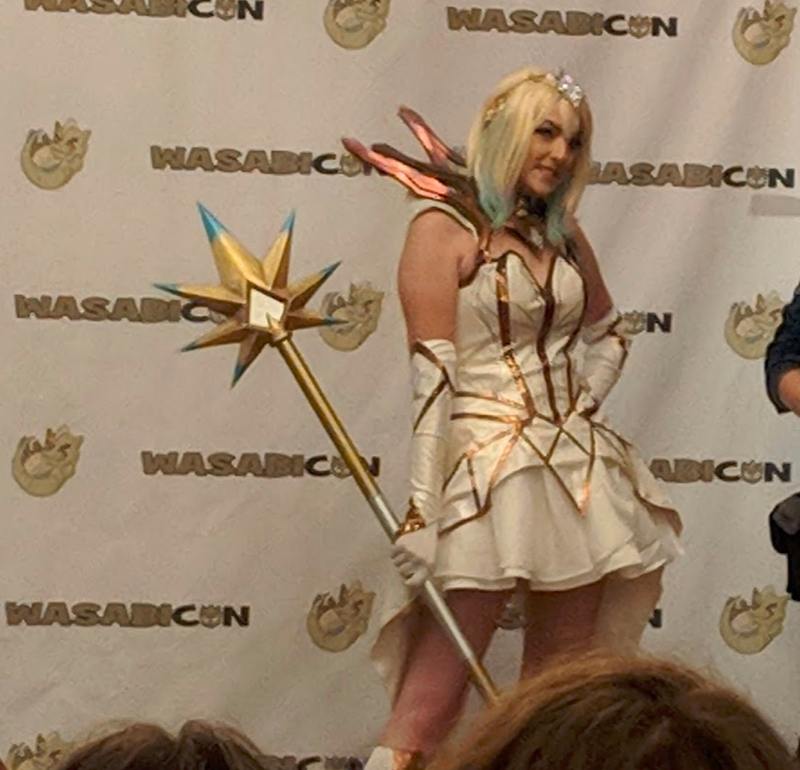 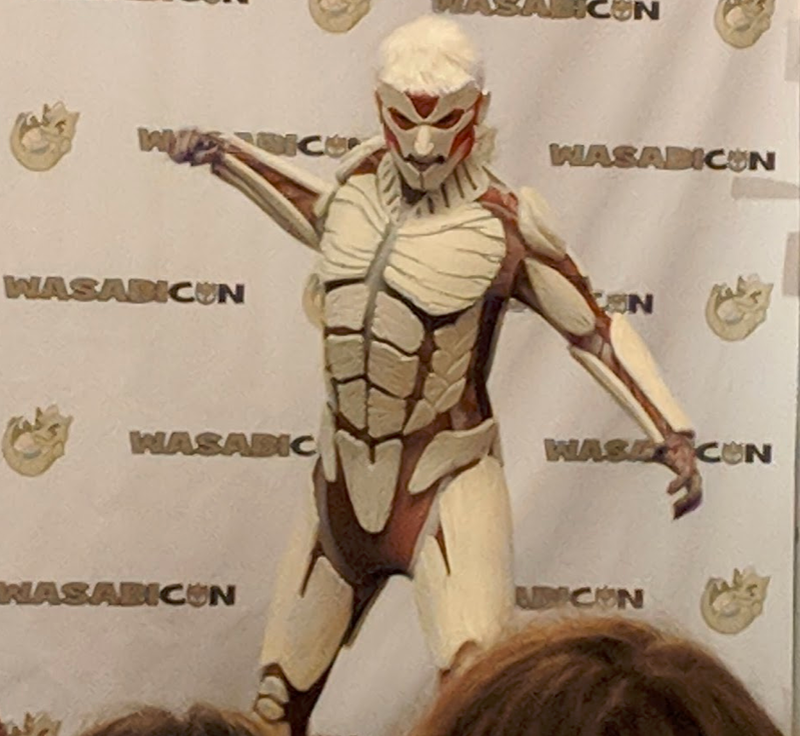 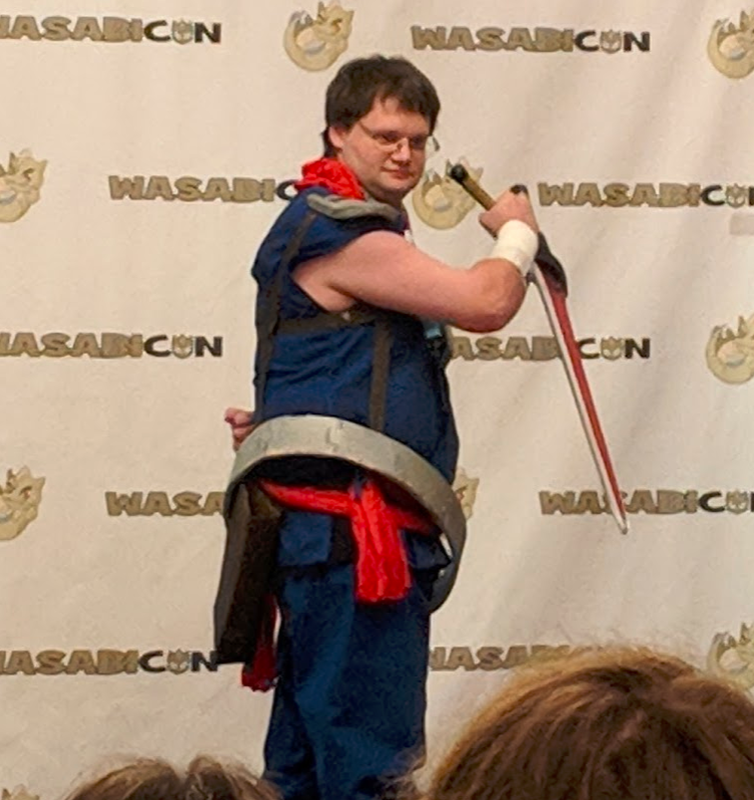 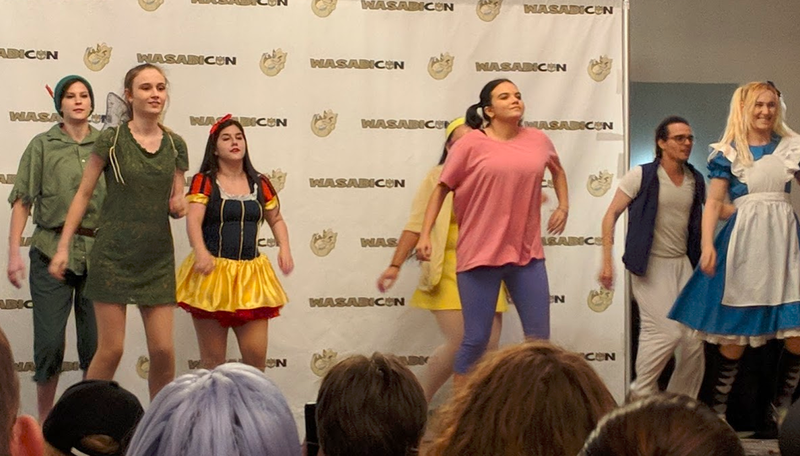 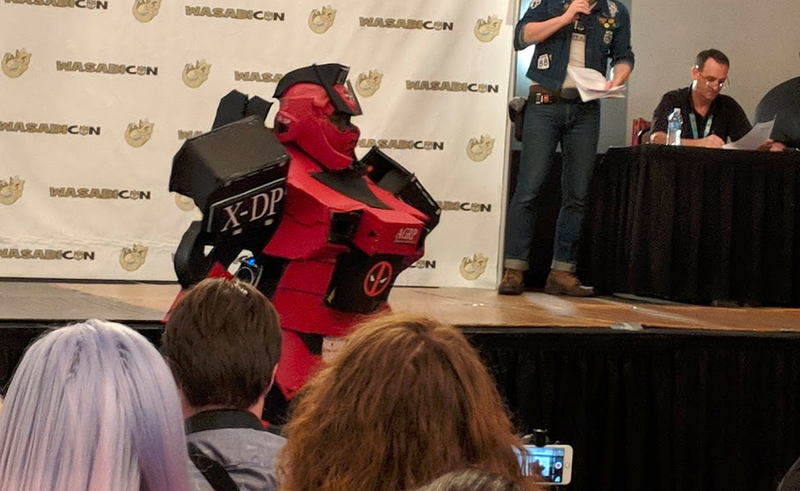 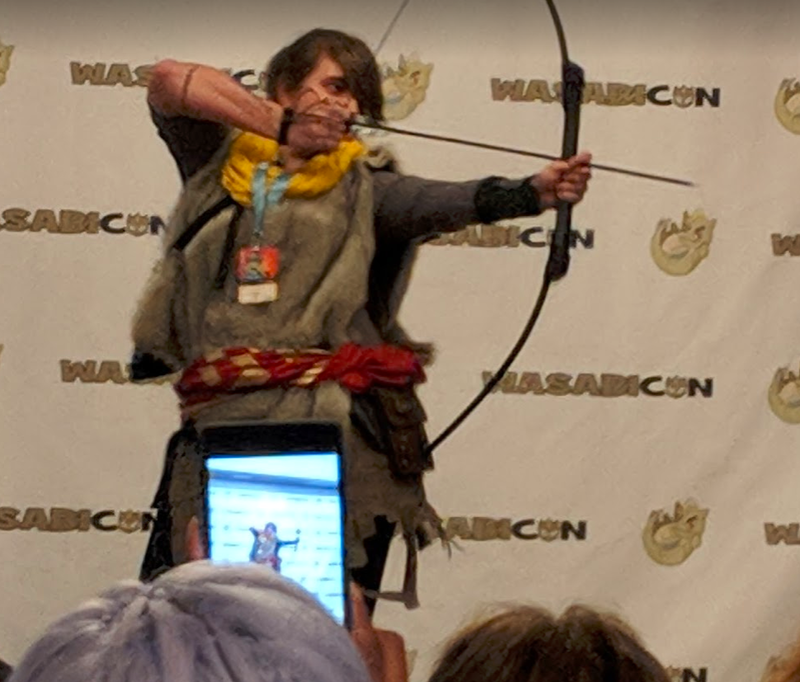 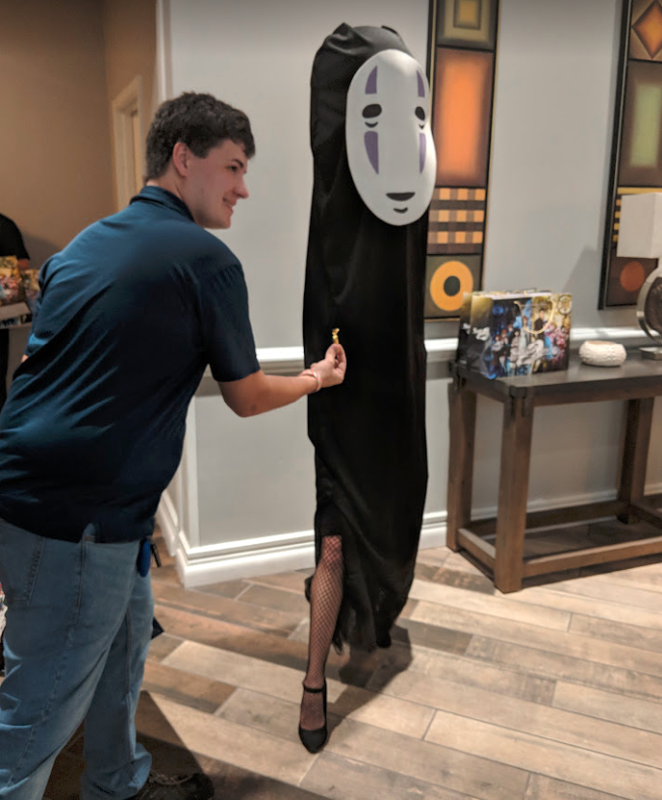 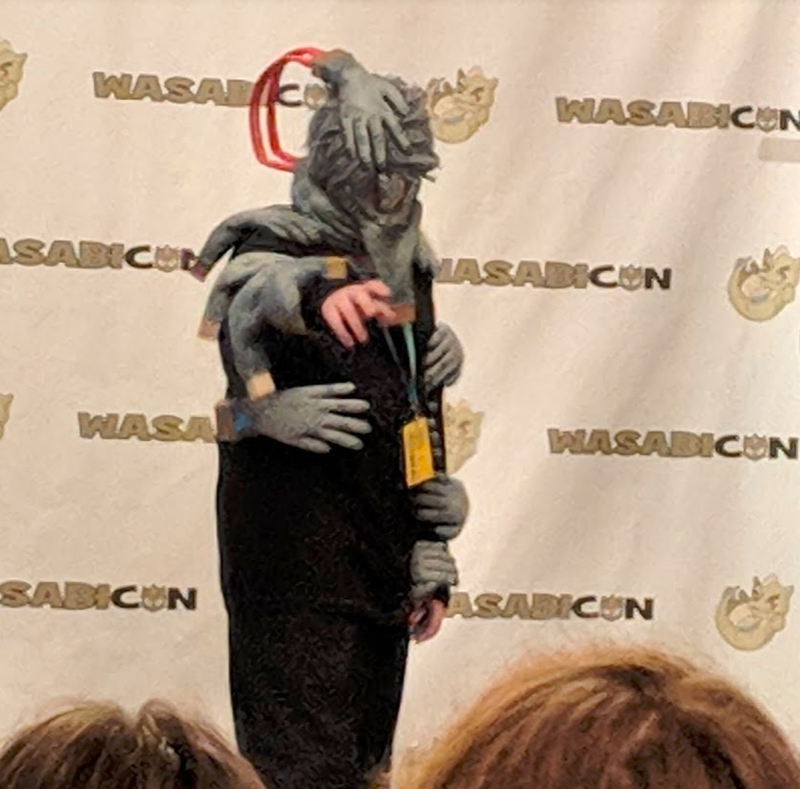 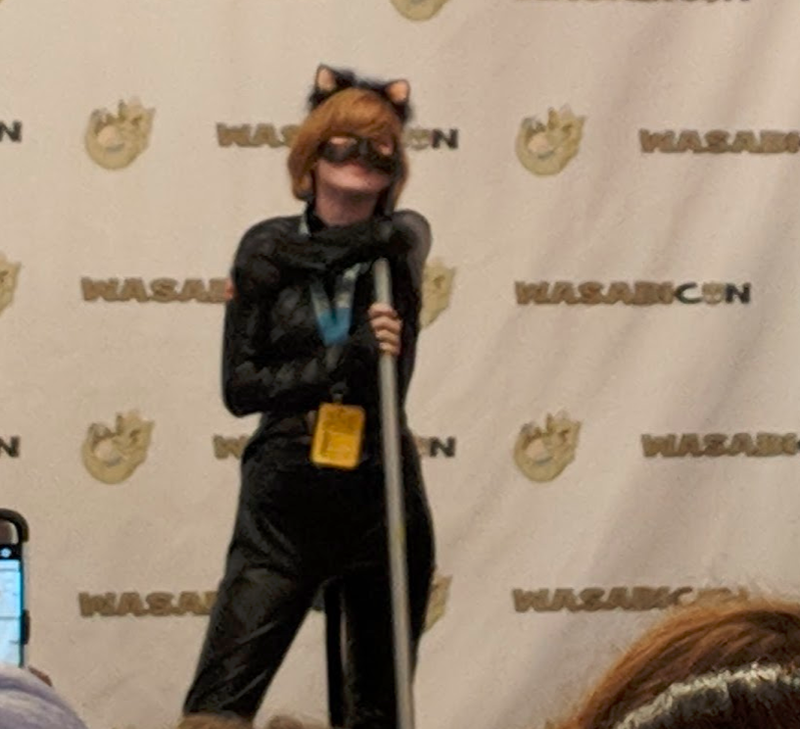 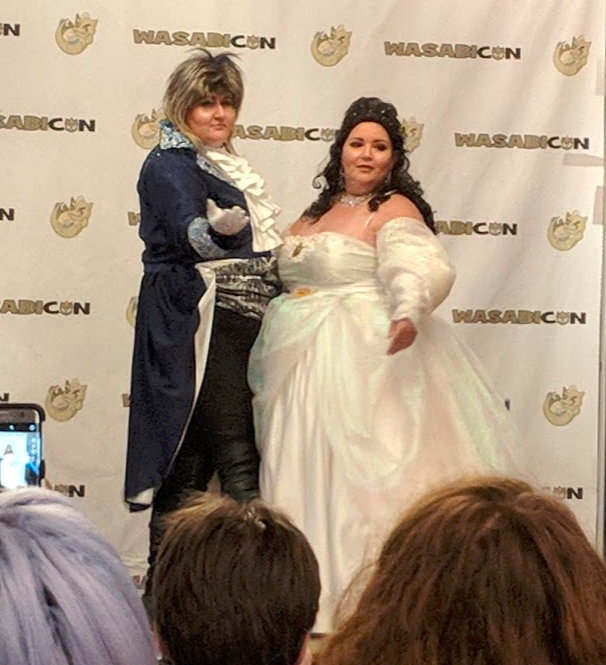 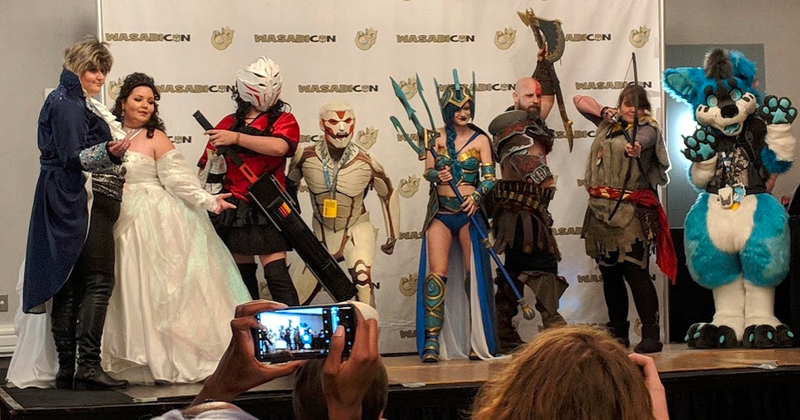 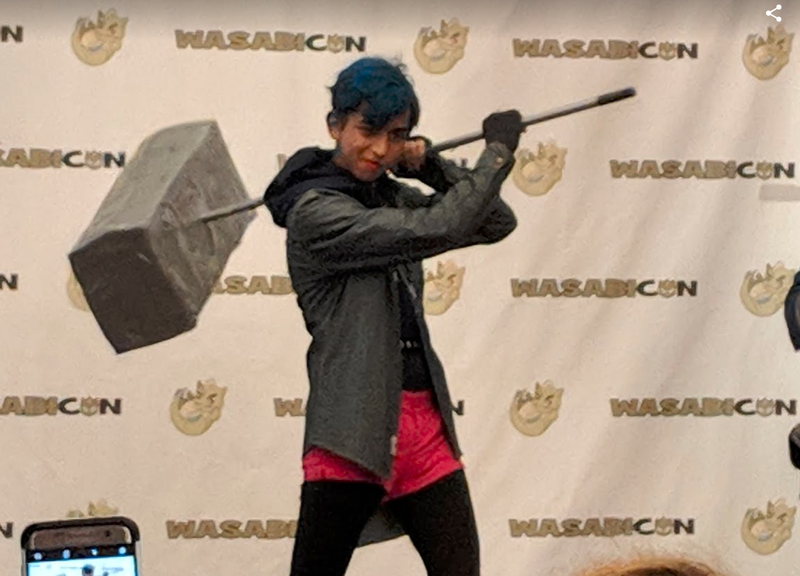 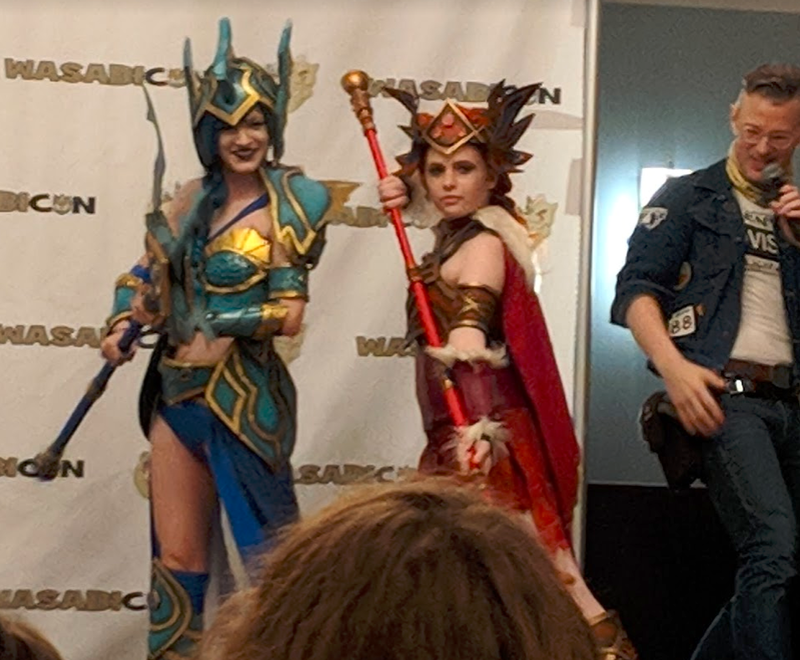 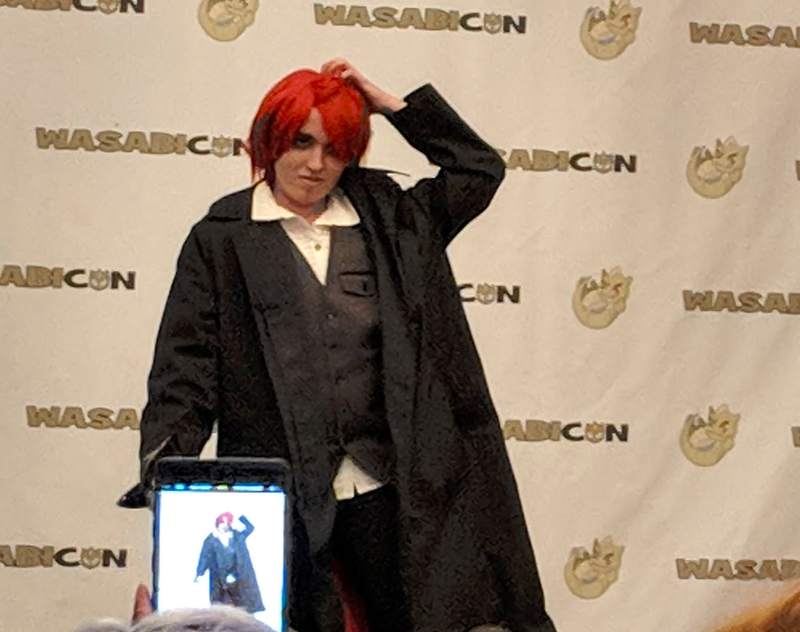 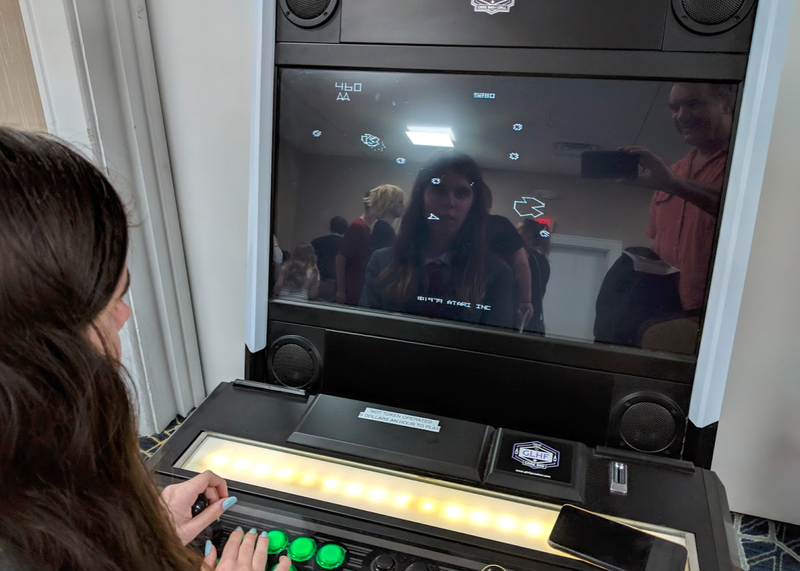 Wasabicon 2018 took over the Lexington Hotel & Conference Center in Jacksonville’s Riverwalk district this weekend. 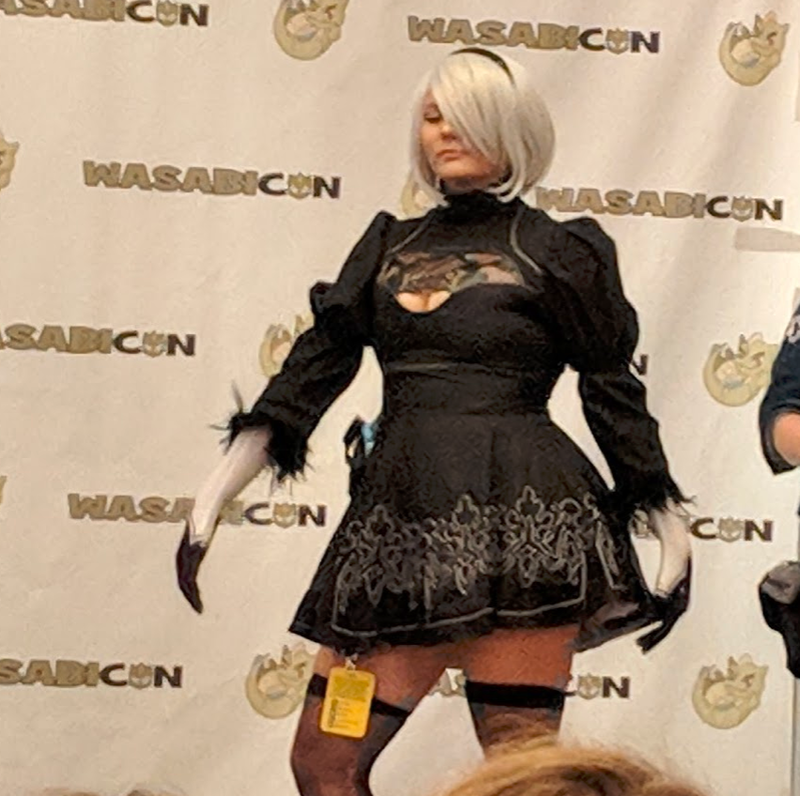 Wasabicon is in its 8th year and by the looks of the crowd, it’s growing larger every year. 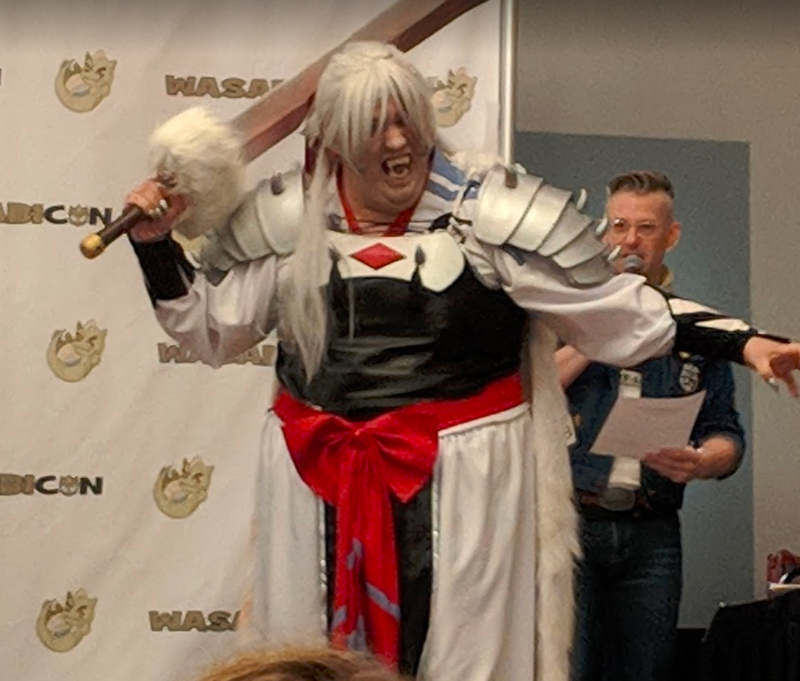 Food, or I should say the lack of easily available food, was an issue at Wasabicon last year. 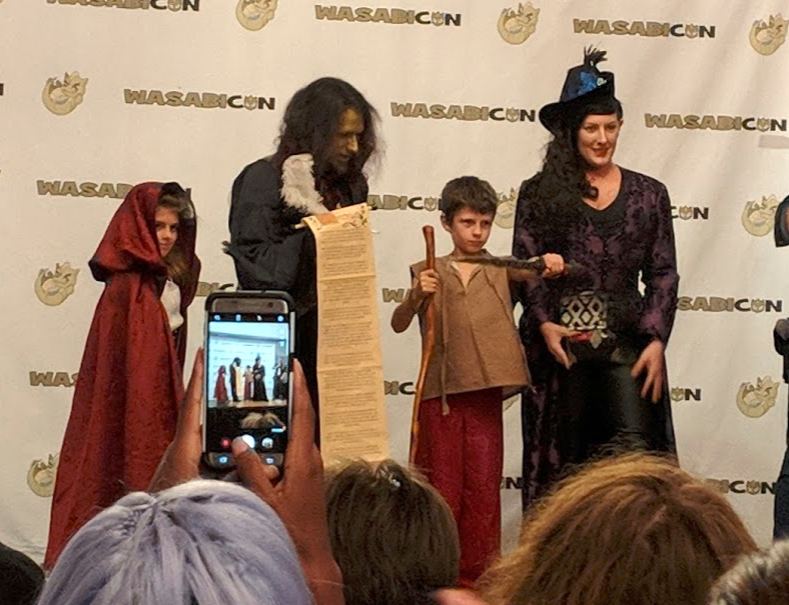 The organizers corrected that this year. 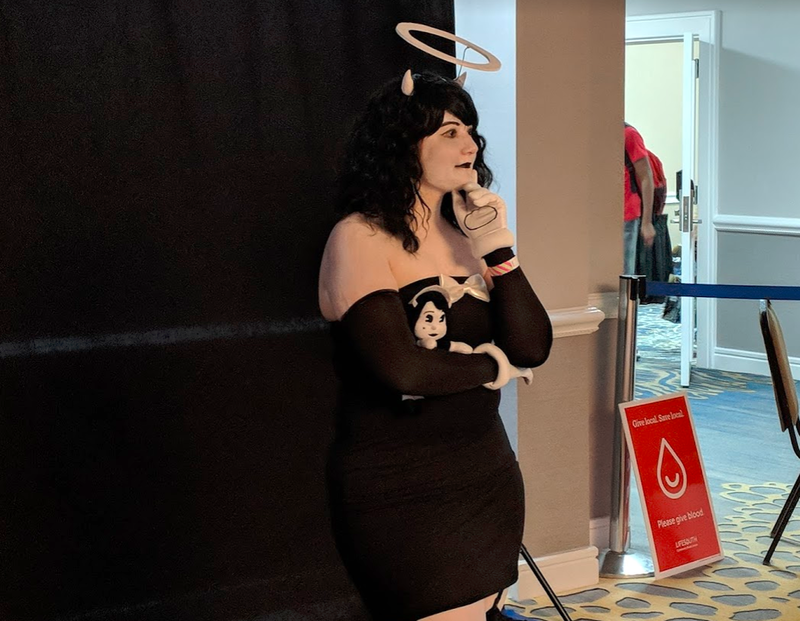 There were more food options both inside the conference center and right outside, with several food trucks on location throughout the weekend. 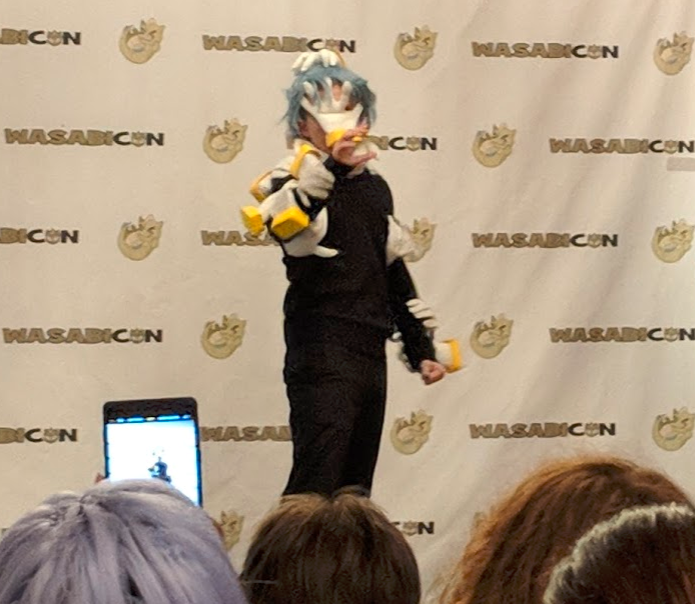 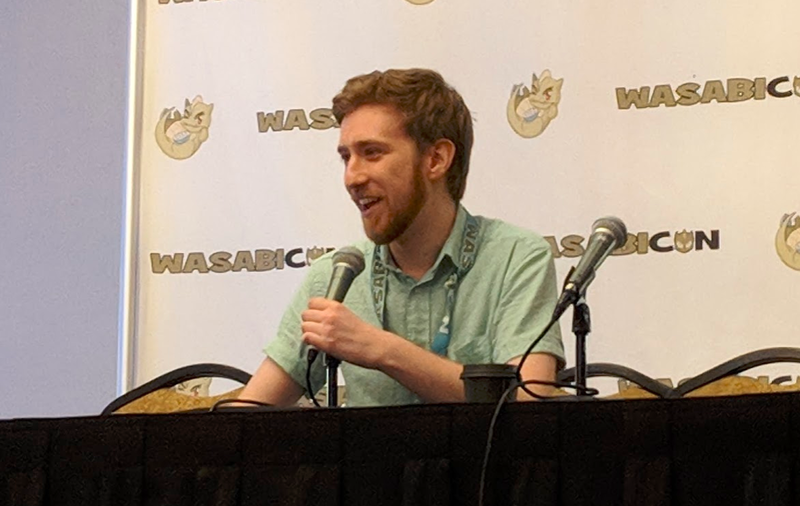 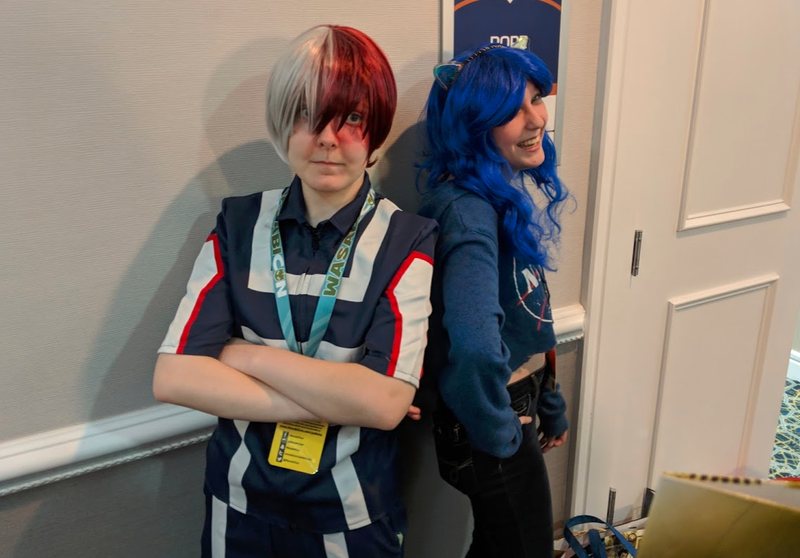 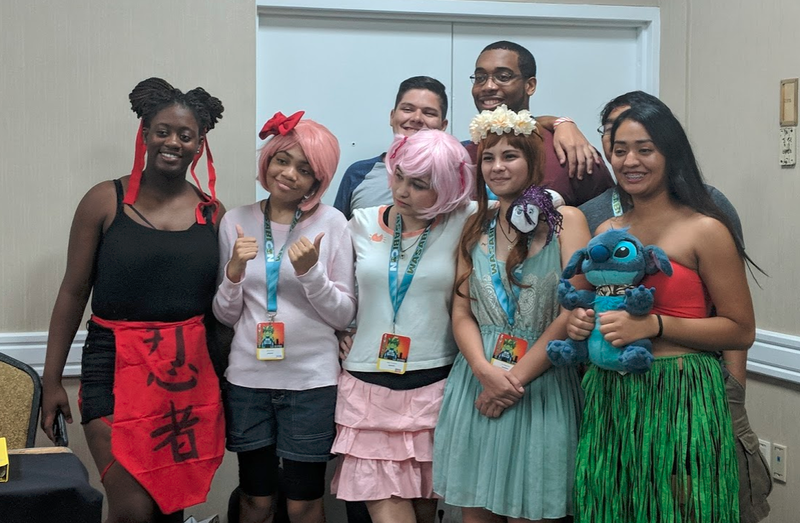 This year’s featured guests included the english voice of Izuku “Deku” Midoriya from My Hero Academia, Justin Briner. 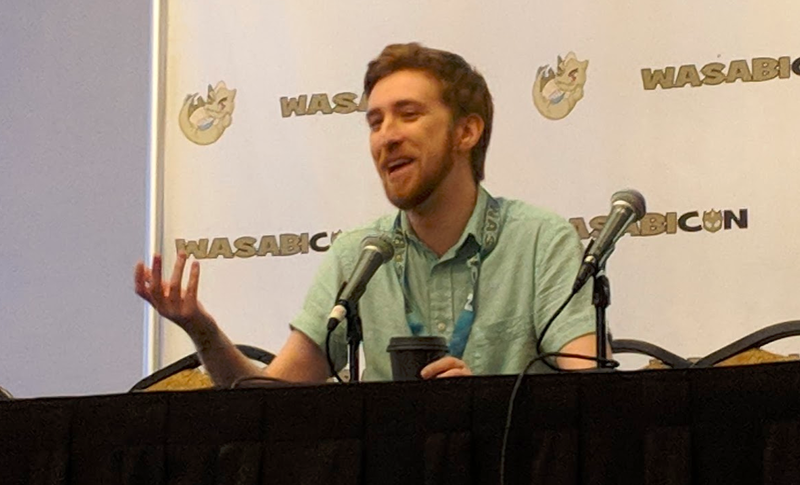 In a question/answer panel, Briner spoke about his favorite characters, story lines, ships, cartoons he watched as a child, and how he got started in acting (a family tradition). 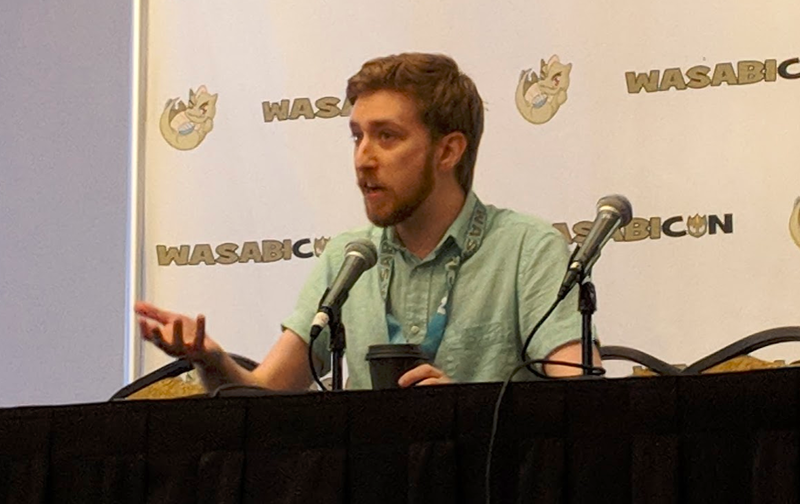 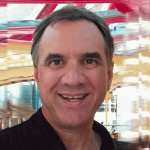 Briner is a prolific voice actor, with roles including Mikaela in Seraph of the End, Nova in Space Patrol Luluco, Yukito and Yue in Cardcaptor Sakura, Yoichi in Drifters, Ayanokoji in Classroom of the Elite, Alfonso in GARO: The Animation, Niko in Nanbaka, Ryota Mitarai in Danganronpa 3, Frate in 91 Days, Qwenthur in Heavy Object, Manato in Grimgar, Ashes and Illusions, and more. 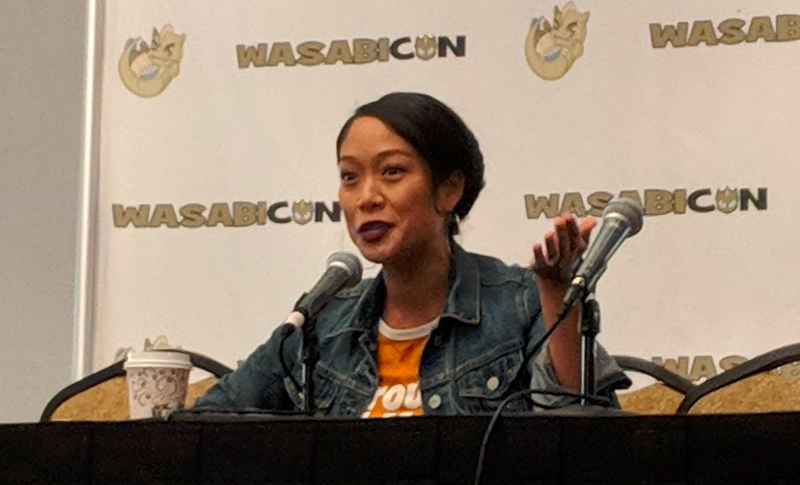 Shelby Rabara was also there. 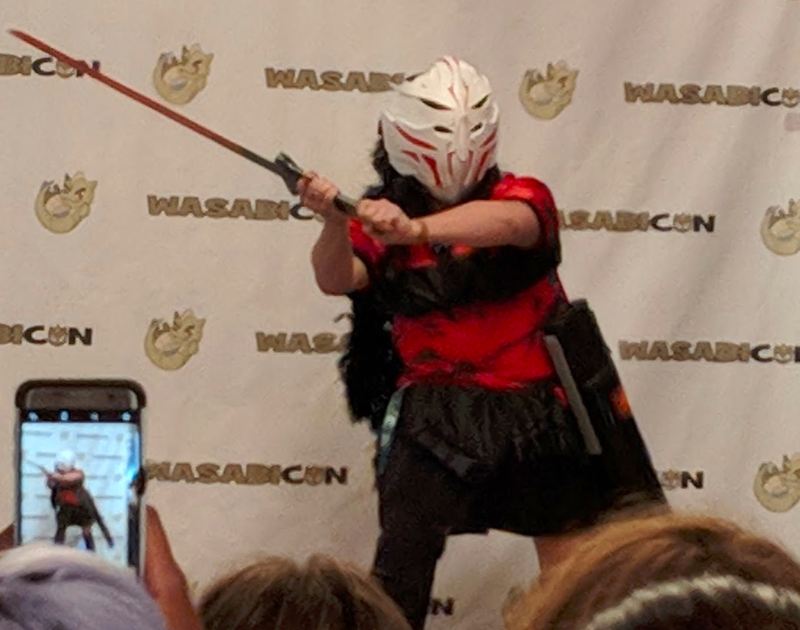 Rabara is the voice of Peridot on Steven Universe, plays Heidi on YouTube Red’s Me and My Grandma and has recurring roles on Goliath, The Mindy Project, 2 Broke Girls, and Glee. 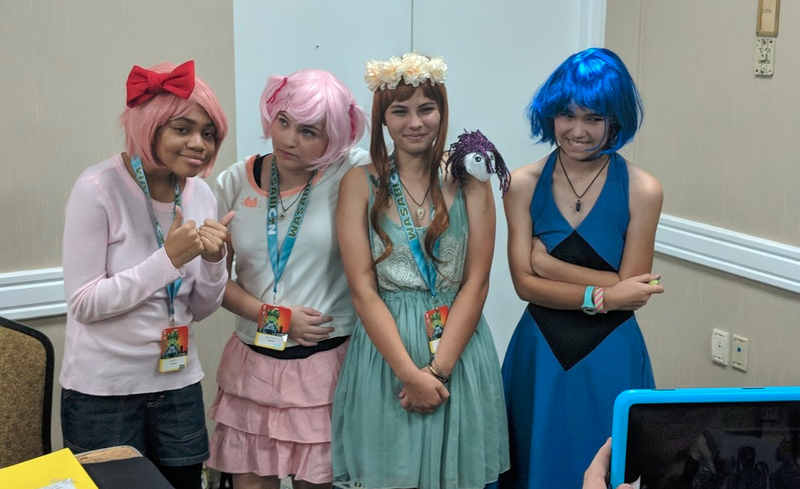 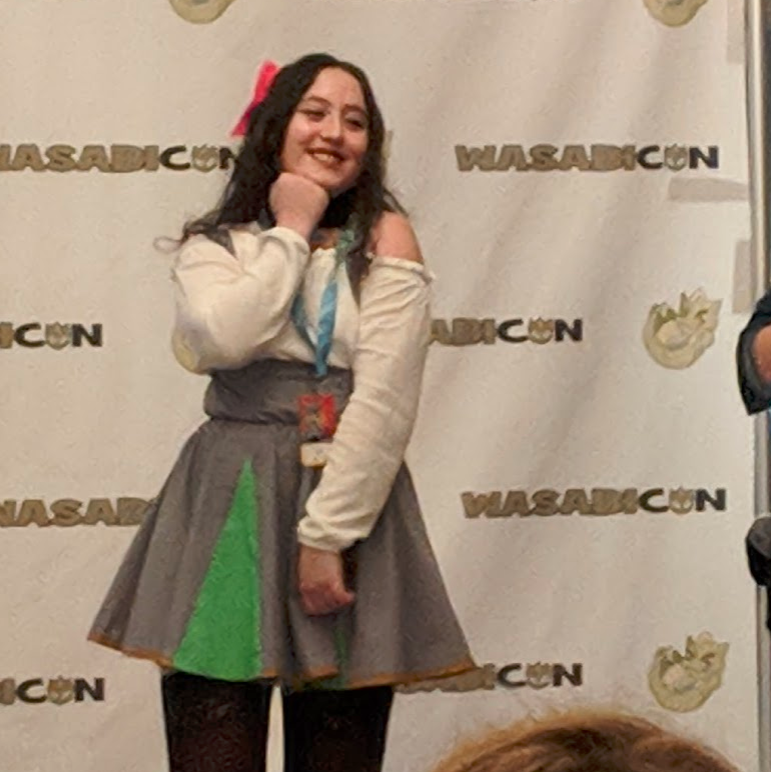 In a question/answer panel, Rabara spoke about her beginnings in the voice acting industry (Peridot was her first role) and the voice acting classes that she took. 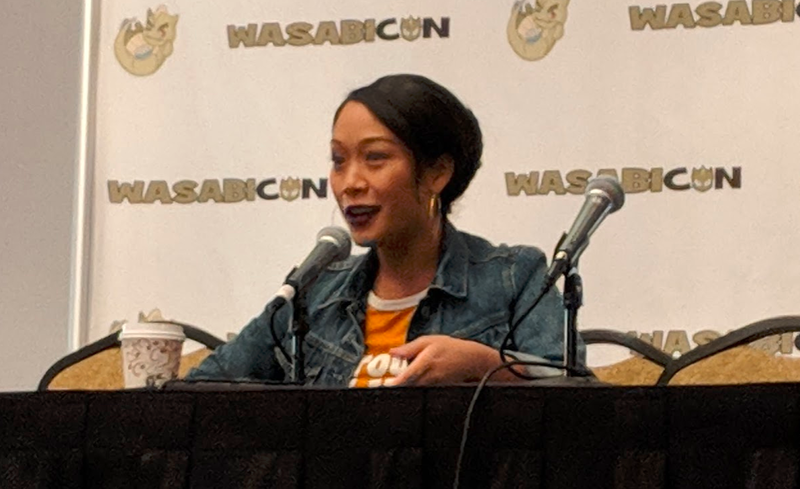 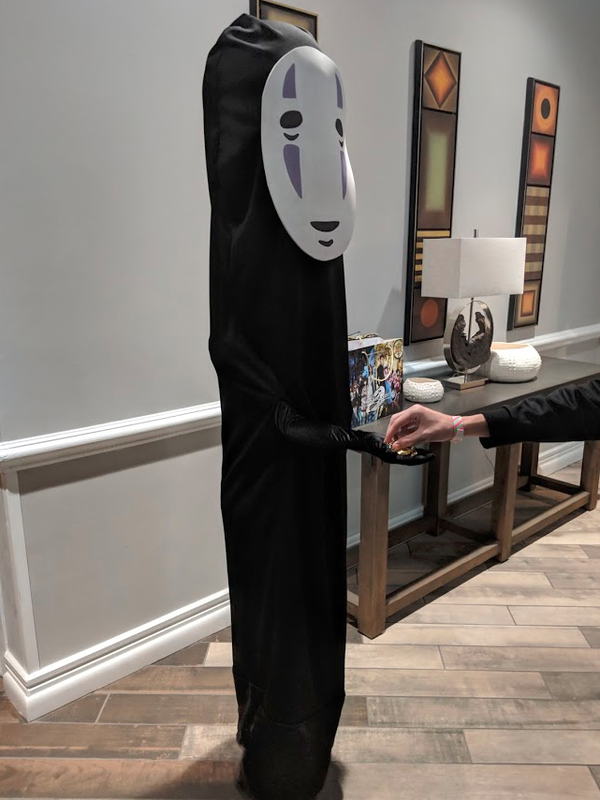 Rabara detailed some of her favorite experiences with the Steven Universe crew, spoke about various Stephen Universe story lines, and revealed that she owns a rescued terrier-mix named Charlie. 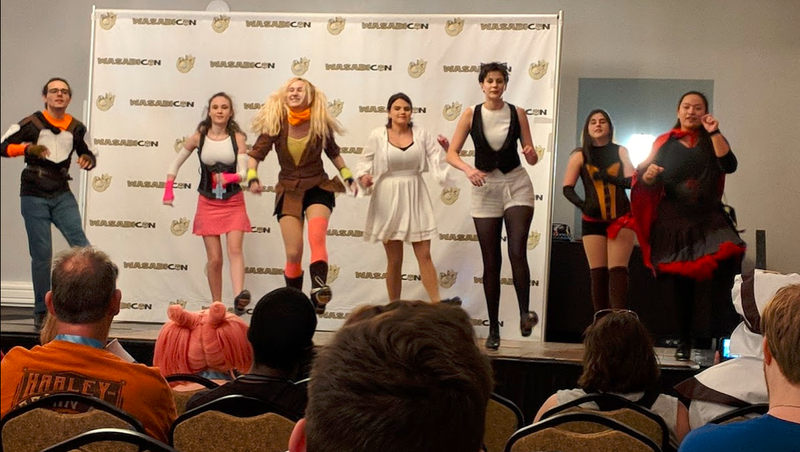 Geekapella provided an awesome Saturday afternoon performance, including a great medley of tunes from various movies with Star Wars inspired lyrics. 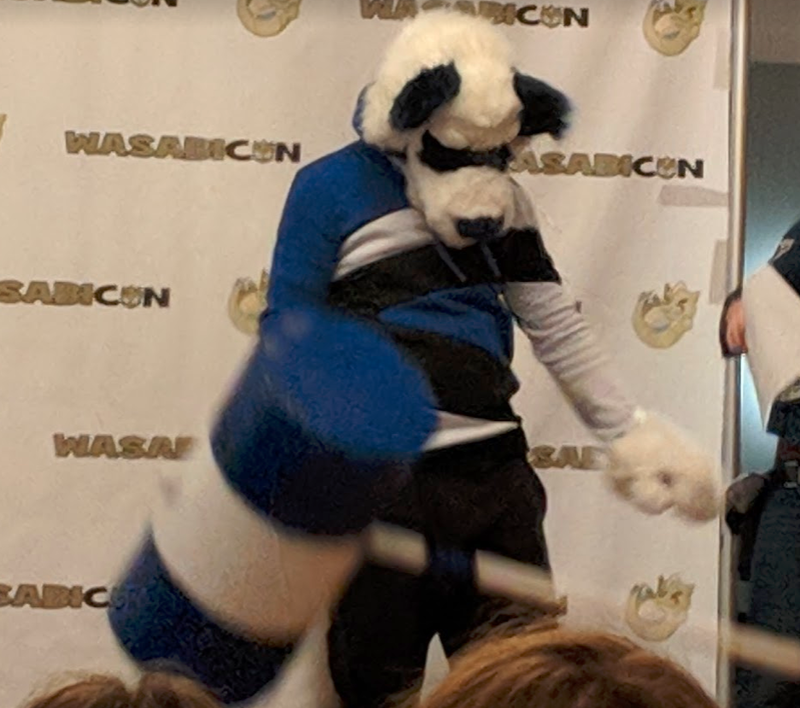 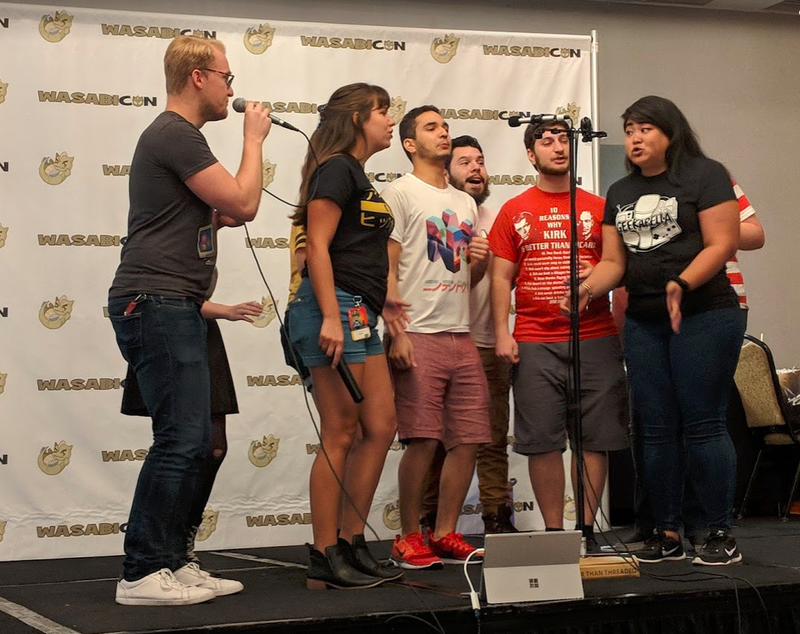 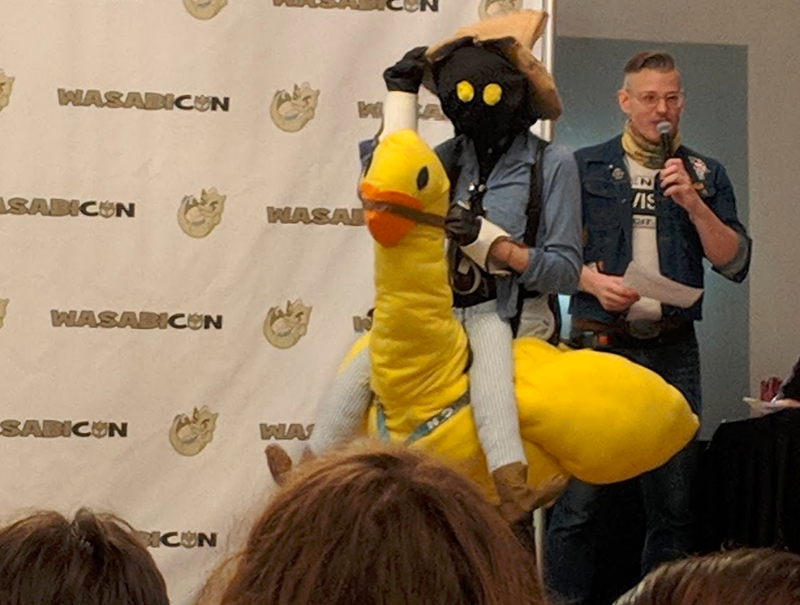 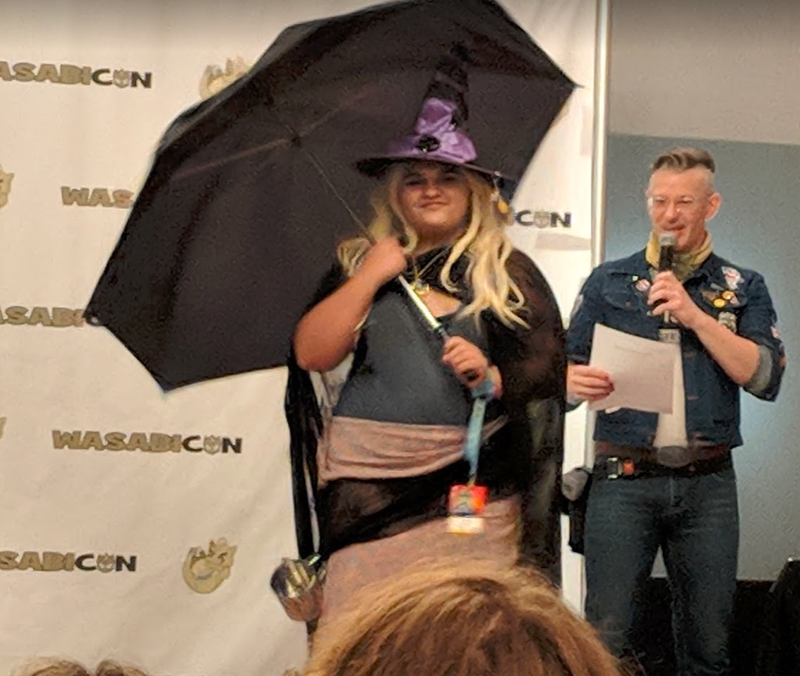 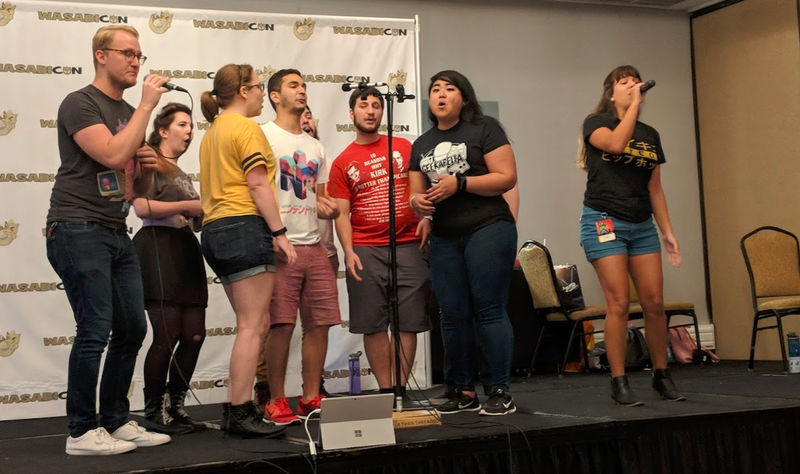 Overall, Wasabicon 2018 felt a bit more sedate than last year’s (admittedly, I did not attend the late night sessions – they may have gotten more rambunctious). 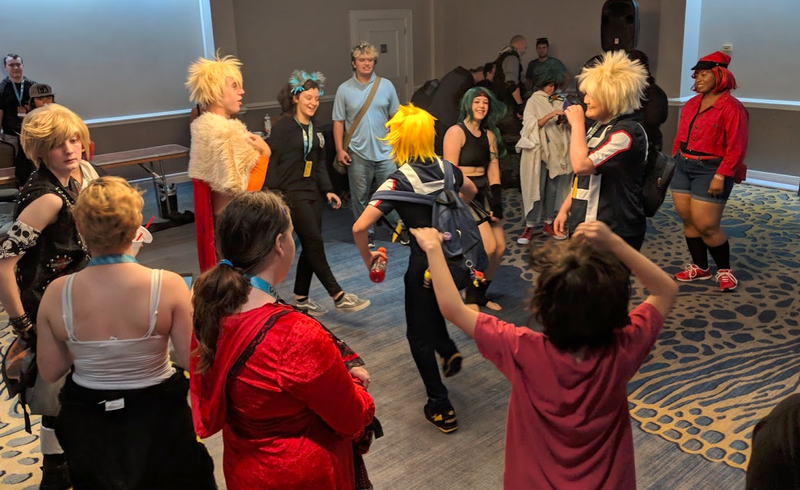 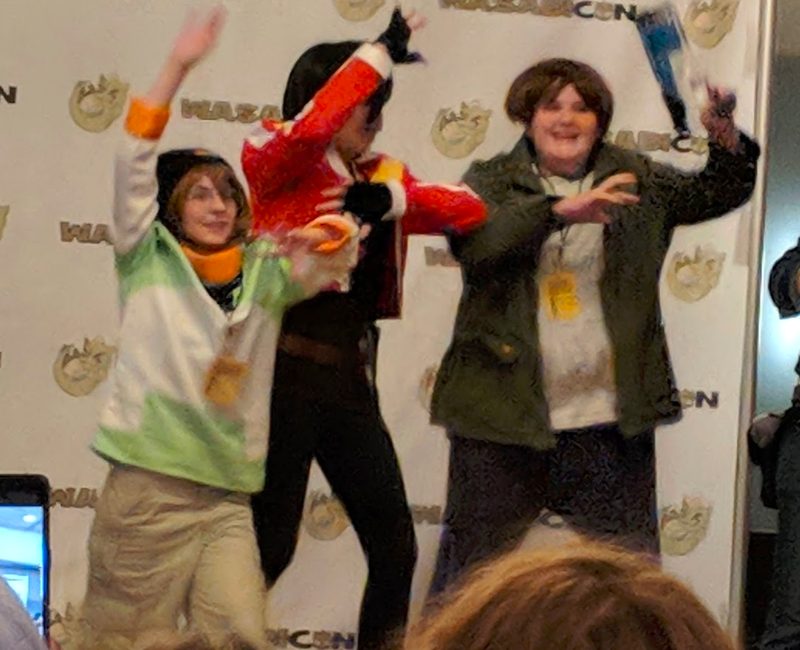 On Saturday there were none of the meme trains and loud music rolling through the hallways and less spontaneous dancing in the common areas than in 2017, but it was still a fun event. 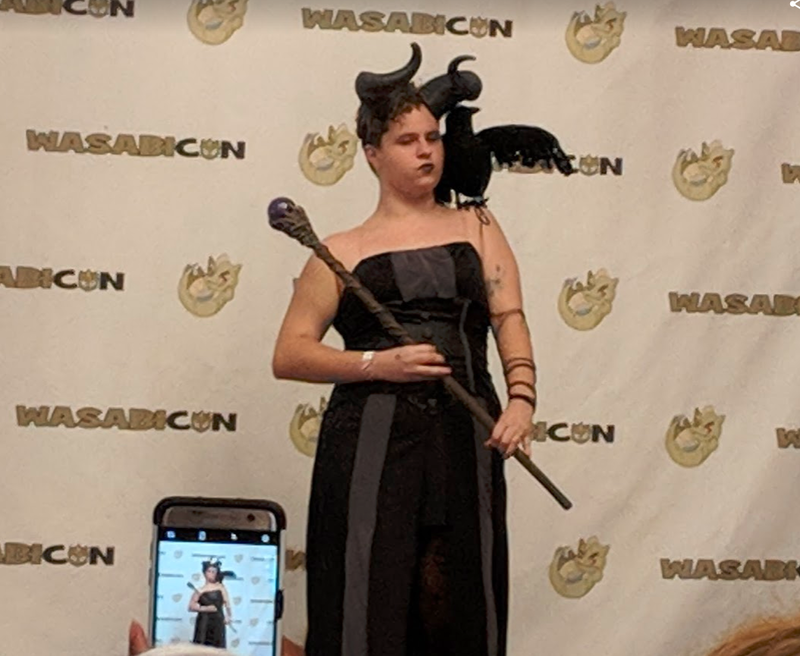 Wasabicon continues today with the last event scheduled for 5:30pm. 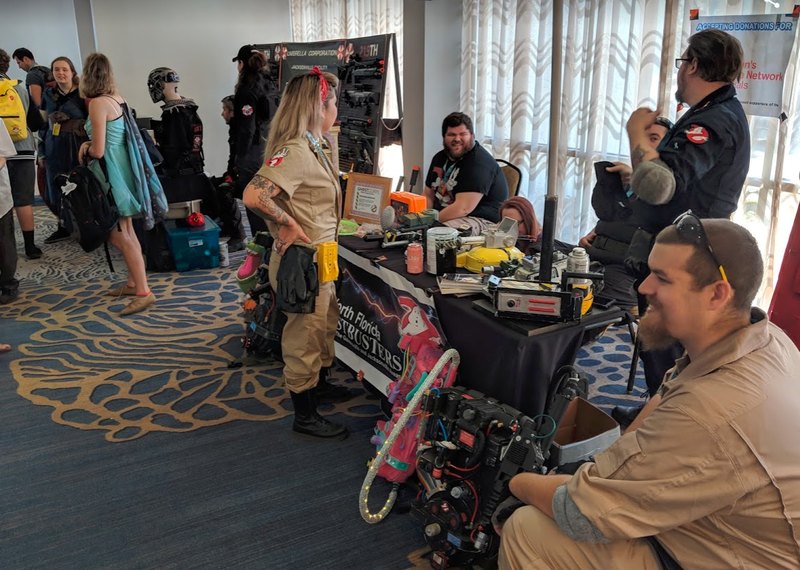 Tickets to Sunday’s activities are available on location for $20/person.